The strategic genius of Sarah Palin. Like most great women of mystery, Sarah Palin is at once everywhere and nowhere. On any given evening, you might see the former Alaska governor-turned-conservative-icon on Fox News, chatting up like-minded travelers about the political buzz du jour. It’s an unconventional media strategy, to be sure, and not without its drawbacks— namely, bitter party operatives. (“This means that you can’t plan anything!” says the strategist.) Yet it’s hard to deny that Palin’s p.r. approach has not only succeeded but succeeded brilliantly. How? The most obvious element at work here is that Palin operates not as a politician but as a celebrity. “Most politicians can’t get on the cover of People,” sighs another GOP campaign veteran. “She’s on the cover almost every week.” The rules are different for celebrities: Palin’s megawattage enables her to command attention for every word and gesture, even as she largely stiff-arms The New York Times and “Meet the Press.” Similarly, candidates desperate for her endorsement are unlikely to (publicly) whine about whatever attention she dribbles their way, no matter how arbitrary or last-minute. Of course, unlike other categories of the rich and famous, political celebs (especially populist firebrands) cannot risk being seen as remote or out of touch. But here’s where Palin’s embrace of new media saves the day. Her perky, quirky tweets and chatty Facebook items make her fans feel as though they have a direct line to her—despite the oft-voiced assumption that Palin (like so many pols) does not write most (if any) of her own Facebook posts. Such is the beauty of social networking: It allows a public figure to avoid direct interaction with the public while promoting the illusion of personal connection and involvement. This model makes perfect sense for Palin if she plans to continue as a media personality. It’s unlikely she’d change her m.o., however, even if she decided to run for office again one day. It suits her core strengths—passion, pithiness, and a mind-boggling magnetism—and, let’s face it, it’s so much easier than the conventional model. Already, even as Palin eagerly collects scalps in the midterm races (a key step toward running for future office), she is skipping much of the messier, schmoozier work of building relationships with other campaigns (traditionally also a key step), opting instead to bless many from the safe, antiseptic distance of Facebook. Palin would not be the first celebrity candidate to attempt an above-the-fray strategy. In the hunt for the 2008 GOP presidential nomination, ex-senator and erstwhile actor Fred Thompson briefly entertained dreams of running a different kind of campaign, in which his fame and willingness to rely on the Web would spare him from trudging through all those snow banks in Iowa and New Hampshire. A key part of his plan was to speak directly to voters via blog posts and other new-media tools, rather than letting himself be filtered by all the usual gatekeepers. But Thompson, while plenty well-known and delightfully avuncular, lacked the fire in the belly to make it more than a couple of feet off the starting block. Palin, by contrast, appears to still harbor plenty of ambition, or at least scores to settle. She also enjoys a media landscape far more “democratized” than what Thompson faced just a few years ago—who knows what Team Fred could have done with the Twitter mania that’s swept politics recently?—not to mention a star quality many Hollywood A-listers would kill for. 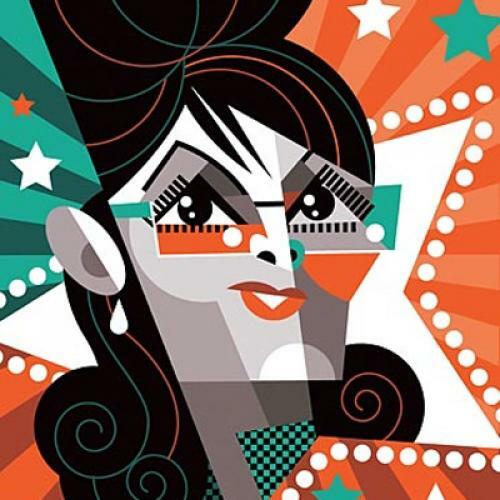 With her new-media savvy and old-fashioned charisma, Palin has managed to merge Norma Desmond (“Mr. DeMille, I’m ready for my closeup”) with Greta Garbo (“I want to be alone”) to become one of the most irresistible spectacles on the public stage. Any political strategist who orchestrated such brilliant success via such unconventional means would instantly be dubbed the p.r. genius of our time. But, as far as we know, there is no crack communications team charting Palin’s course. At some point, even Palin haters may have to face the possibility that the p.r. genius is Sarah herself.